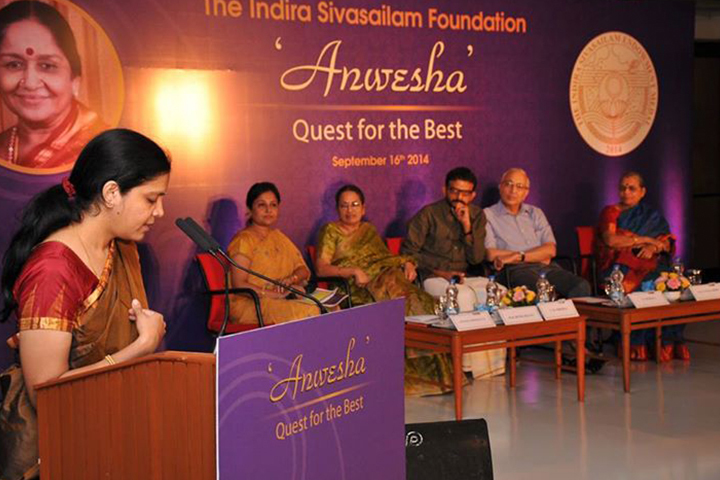 ‘Anwesha – Quest for the best’ is organized by The Indira Sivasailam Foundation as a pre-event to the annual Indira Sivasailam Endowment Concert. Anwesha in Sanskrit means ‘search or pursuit of something’, and true to its name, the event hopes to satiate the Carnatic music lover who is perennially trying to understand the nuances of music by delving into the art’s finer knowledge. In its second edition, we hope to bridge the gap between the artiste and rasikas by providing a platform for interaction where the audience will get a glimpse into the artist’s perspective. The participants for Anwesha were selected by way of an online contest, wherein rasikas were asked to send in questions on Carnatic music via Facebook, and the best 30 questions were selected. The finalists were invited for an interactive Q&A session with Sri. 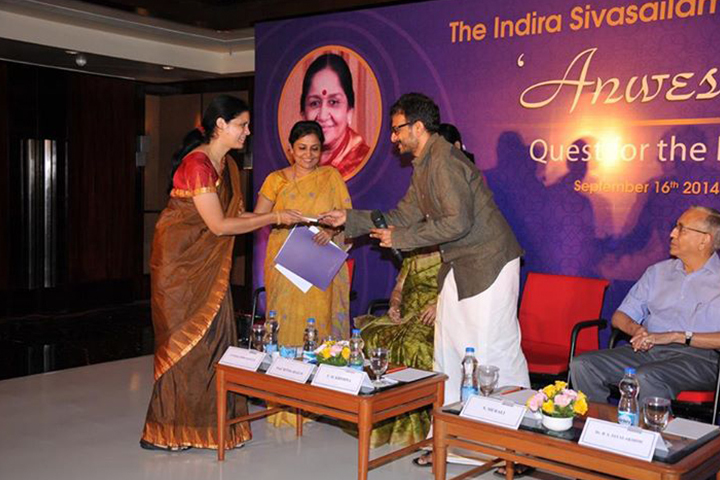 T. M. Krishna, winner of this year’s Indira Sivasailam Endowment Medal. The contest saw participation from people of all ages, ranging 8 - 80 years, and from different parts of the country and abroad.The questions dealt with different dimensions of Carnatic music like, interpretation of old compositions in a modern day context, evolving concert formats, usage of instruments during concerts, interrelation between spiritualism and the music, and ways to make Carnatic music relevant to the current generation. The top 30 questions were answered by Sri. 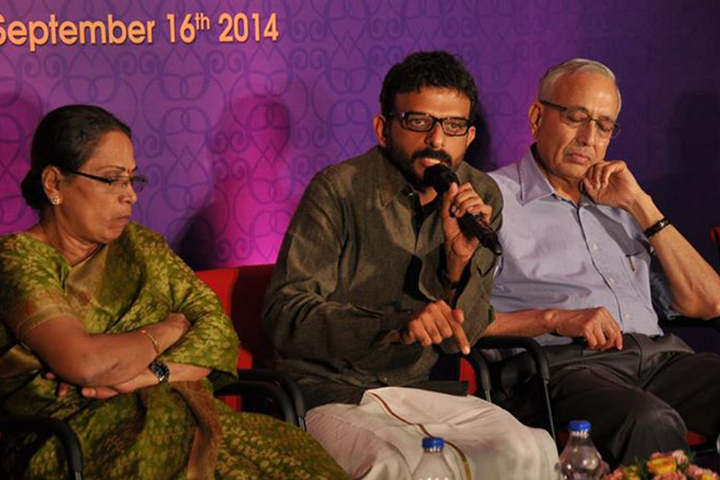 T. M. Krishna with some inputs from the other panellists Mr. N. Murali, President – The Music Academy Madras, Smt. 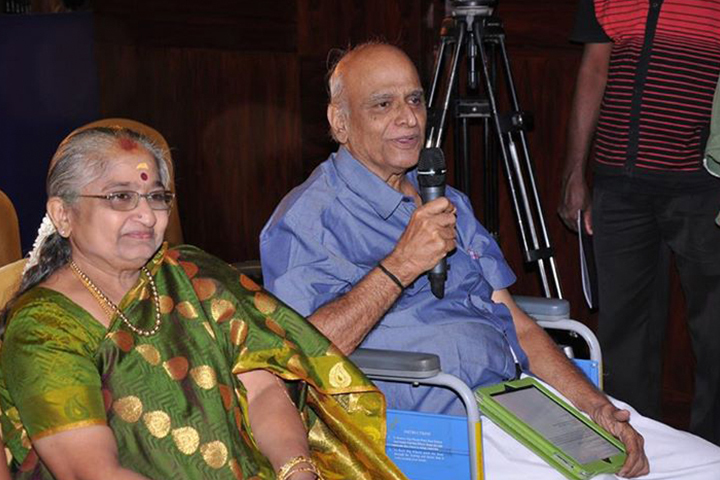 RithaRajan and Dr. R. S. Jayalakshmi. 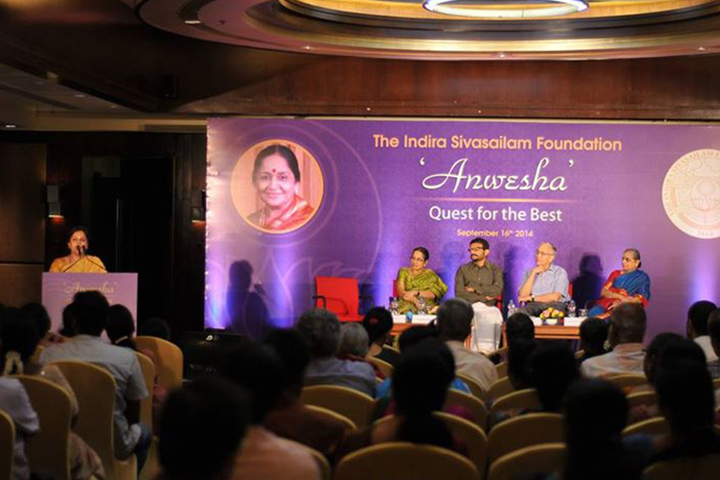 The event witnessed an unprecedented response from Carnatic music enthusiasts and rasikas, who were extremely appreciative of The Indira Sivasailam Foundation for providing them with a platform to interact with Sri. 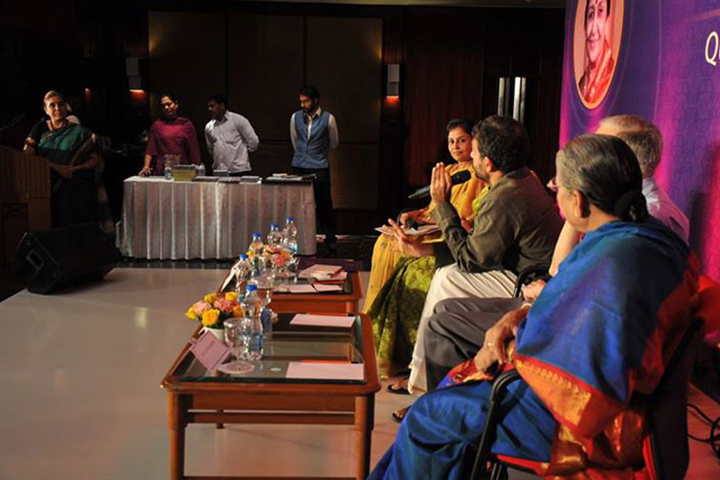 T. M. Krishna and gain new insights into Carnatic music. Smt. 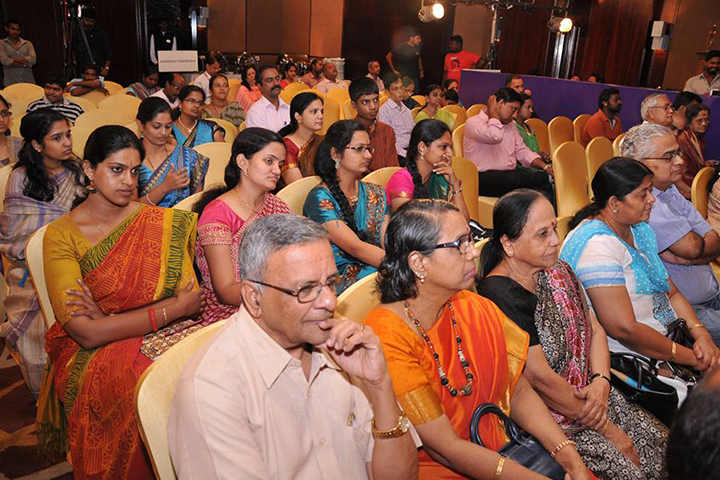 Ritha Rajan and Dr. R. S. Jayalakshmi, faculty members at the Advanced School of Carnatic Music, The Music Academy, evaluated the questions. They were highly impressed with the quality and perspectives broached by the questions. The jury also shared that objective questions which focused on traditional and technical aspects of Carnatic music were considered in the evaluation process along with other parameters.